House is a key element of American Dream. It is a crucial for one's feeling of lives and happiness. 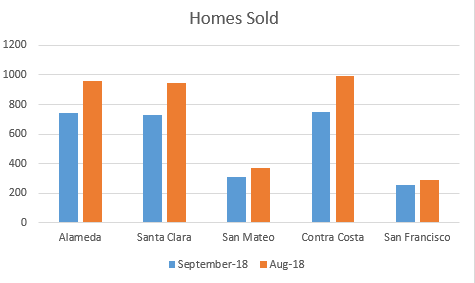 We have compiled the five counties' market information of single family house so that you can keep a close eye on the current situation of the market, and provide a good foundation for your decision making in buying or selling your next property. 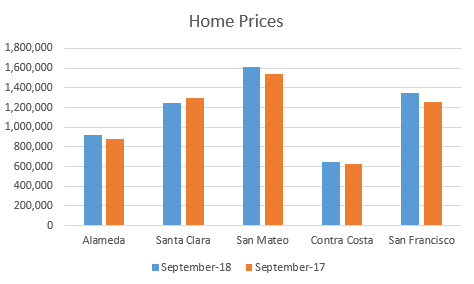 Prices of homes from September 17 to September 18 have increased for all counties except Santa Clara which dropped by 4%. San Francisco is the highest increase of 7%. 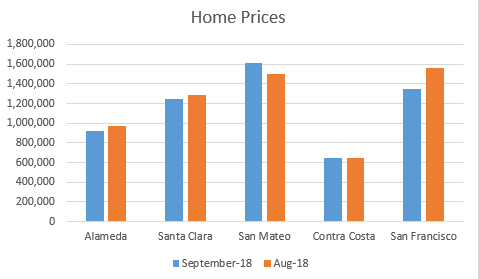 Compared to August, the prices are mostly lower. 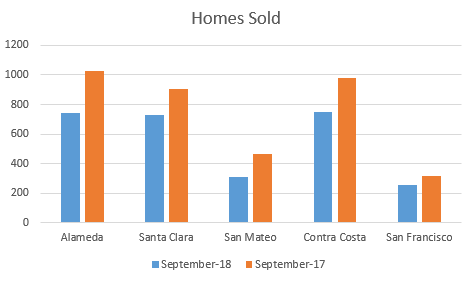 Santa Clara, San Mateo, and Contra Costa have all dropped from 1% to 5%. San Mateo is the only one with notable growth of 7%. San Francisco dropped by almost 14%! The inventory from 2017 to 2018 have all dropped drastically. Every county has dropped over 19%. San Mateo has the deepest drop of 33%. Compared to August, the market also experienced a drop, but not as large. Contra Costa is the largest at almost 25%.